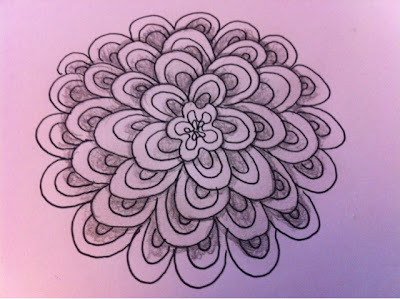 I shared about Zentangles® yesterday. Today I drew another one. 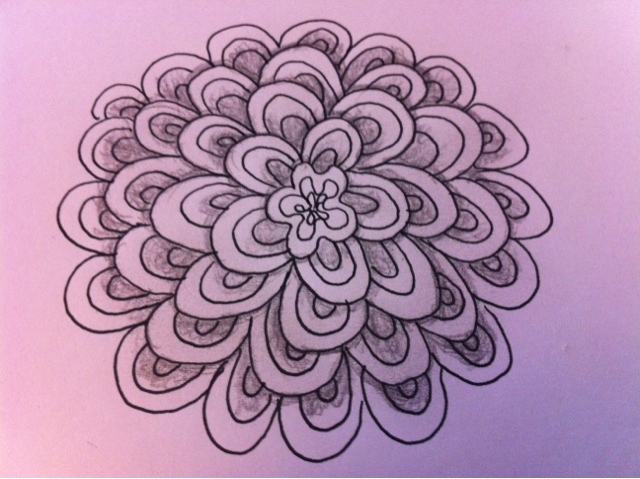 This is a copy of Sandy Steen Bartholomew's Zentangle® called "Mumsy" in her book Yoga for Your Brain: A Zentangle Workout.